Jim Cavanagh was the most militant, and possibly the most effective, trade union official in South Australia during the decade and a half after World War II. Moreover, he was one of the most talented and energetic members of Labor’s contingent in the Senate, during the 1960s and 1970s. As a trade union secretary and Opposition senator, Cavanagh was in his element, but during the turbulent years of the Whitlam era he was forced to suffer events over which he had little control. He was at his best when challenging authority rather than trying to exercise it. James Luke Cavanagh was born into poverty on 21 June 1913 in the Adelaide suburb of Paddington (now Rosewater). He was the third child of South Australian-born parents, James Luke Cavanagh, a boiler maker, and Isobella, née Buckton, a strict Catholic. For most of his life, he lived in one or other of the thoroughly working-class, if not depressed, suburbs of Adelaide between the central business district of Adelaide and its port. Like his father, who was a political activist and Port Adelaide City Councillor, Cavanagh, a socialist and pacifist, became a well-known figure in South Australia. As a dissident leftist in the predominantly centre-right or, later, centre-left state branch of the Labor Party, Cavanagh never left, let alone forgot, his roots. Many years later, Ivy Wedgwood, from the other—and more conservative—side of the Senate, admiringly referred to Cavanagh as the man who most reminded her of the great Labor Prime Minister, Ben Chifley, while the Member for Fremantle and minister in the Labor Government of Gough Whitlam, Kim Beazley senior, once described him as ‘the cream of the working class’. The young Cavanagh served as an altar boy at St Lawrence’s Catholic Church in North Adelaide, and attended the Christian Brothers School at Ovingham from February 1926, after receiving primary education at St Catherine’s Dominican School in Barnard Street, North Adelaide. Claiming to have been an indifferent student who suffered grinding hunger, he left school when he was fourteen. Joining the work force just before the onset of the Great Depression, Cavanagh became a semi-skilled labourer but experienced frequent bouts of unemployment. It was probably in the early 1930s that he became a plasterer, via his older brother. In 1936 he became secretary of the South Australian branch of the Movement against War and Fascism, and was later an active member of other left-wing organisations concerned with world peace, such as the Australian Peace Council. On 11 October 1941, at Stow Memorial Church, Adelaide, he married Alfreda Barbara Lamm. Refusing to volunteer for the AIF on the grounds that he was against war, Cavanagh threw himself into Labor Party and union affairs. He had been secretary of the party’s Brompton and Bowden branch when only seventeen, but not until 1941 did he gain some public notoriety by leading a strike at the construction site of a bombing and gunnery school near Port Pirie. In October 1945 he was, by a narrow margin, elected secretary of the Plasterers’ Society in South Australia. He was a delegate to the United Trades and Labor Council of South Australia in 1942 and continuously from 1945 until 1966. For three years from 1967 he was federal president of the Operative Plasterers’ and Plaster Workers’ Federation of Australia. In 1948 he was also serving as secretary of the Building Trades Federation in Adelaide. Between 1946 and 1962, Cavanagh transformed the Plasterers’ Society into possibly the most militant and tightly disciplined union in South Australia and in so doing made himself one of the most publicly visible trade union leaders in the state, feared, if not hated, by builders, but greatly respected in the trade union and labour movements. The Plasterers’ Society was small, but it acquired an influence out of all proportion to its size. Frequently attacked by employers, and occasionally condemned by Adelaide’s only morning newspaper, the Advertiser, neither the plasterers nor Cavanagh were ever long out of the news. During these years, Cavanagh spent much time in the state Industrial Court arguing for better wages and conditions for his union’s members. The awards he won served as benchmarks for other unions, especially, but not exclusively, for those in the building trades. In his oral history interview for the National Library of Australia in 1985, Cavanagh stated that his service as union secretary was happier, and more satisfying, than anything he had ever done. By the early 1960s, his prestige within the labour movement was such that ‘the kingmakers’ in the South Australian branch of the ALP—Clyde Cameron, since 1949 MHR for Hindmarsh, and senator-to-be Jim Toohey—allocated him the third place on the ALP’s Senate ticket for the December 1961 federal election. The swing against the Menzies Government in the poll assisted in the re-election of Senator Nicholls and the election of Reg Bishop as well as of Cavanagh himself, thus enabling the Labor Party to hold six of the ten South Australian Senate seats. What was remarkable about the poll was Cavanagh’s strong personal vote. He said that this was due to the attacks made by Liberal MHRs—Harold Holt, John Jess, William Wentworth, and A. J. (Jim) Forbes—who claimed that Cavanagh’s industrial record, his close association with communists, and the refusal of the Chifley and Menzies governments to allow him entry into the Woomera rocket range, rendered him unfit to be a member of Parliament. From 1961 to 1963 Cavanagh served on the state executive of the South Australian branch of the ALP and was elected as a branch delegate to the 1972 Federal Conference. A man of strong intellect, he developed into one of the most accomplished Labor members of the Senate. His many years as a public speaker stood him in good stead as an orator; his considerable knowledge of industrial law helped to make him an expert on finer points of legislation; and his work, and experience of innumerable meetings, led to his becoming a master of standing orders. As a ‘bush lawyer’ with a flair for statutory interpretation, he would ‘constantly pressurise and question Ministers about particular clauses of legislation’. He was a frequent contributor to debates and spoke on a wide range of subjects. Almost immediately, he was being touted as one of the Young Turks among the new generation of Labor senators who entered Parliament in the early 1960s. He was easily one of the most left-wing of the Labor senators; only John Wheeldon was comparable. He had three principal areas of interest. In domestic matters, he was mainly concerned with industrial issues such as strikes and workers’ compensation, recalling how much his grandfather, following an industrial accident, suffered through lack of compensation. He took a close interest in housing, where he was able to lend particular expertise on employment, training, awards and building standards in the construction industry. In foreign affairs and defence, inter alia he criticised US bases in Australia, voiced his suspicions about the activities of the weapons research establishment in South Australia, and was an unwavering and constant opponent of the Vietnam War and conscription. His stance inspired a younger generation of Labor leftists in South Australia, in much the same way as had Victorian Labor politician, Jim Cairns, who led the anti-war protest movement for Australia as a whole. No Labor parliamentarian, excepting perhaps Cameron, made a more active contribution to the anti-Vietnam War movement in South Australia. His concern for human rights and civil liberties—without a doubt sharpened by his own experiences as a political pariah—was clearly his passion, especially in the areas familiar to him. There were few, if any, members of either house of the federal Parliament more hostile to the intelligence services of both Australia and the USA. Believing it was the unfavourable and inaccurate information supplied by the Australian Security and Intelligence Organisation that had prevented his visiting Woomera, Cavanagh campaigned against ASIO throughout his parliamentary life. He was no less hostile to the Central Intelligence Agency (CIA), and in later years was one of those in Labor’s ranks most convinced that the CIA had had a role in the dismissal of the Whitlam Government in November 1975. Indeed, his affiliation and association with the left, his experiences as an oft-condemned union militant, combined, perhaps, with his lack of formal education, seem to have made Cavanagh prone to believe in conspiracy theories. When a middle-aged journalist, Ward McNally, claimed he had been disadvantaged because of his juvenile criminal record in New Zealand, Cavanagh not only raised McNally’s grievances in the Senate, but also, several years later, appointed the journalist as his press secretary—an appointment that turned out to be short-lived. When his attention was drawn to a book about the unsolved mystery regarding the deaths of Dr Gilbert Bogle and Margaret Chandler in Sydney in 1963, Cavanagh was ready to believe that the CIA had a hand in bringing about their demise. In December 1972 Cavanagh gained a place in the Whitlam Government’s first ministry, the first federal Labor ministry for twenty-three years. He hoped to become Minister for Labour, but that portfolio went to Cameron. He was made Minister for Works, and created a minor flurry by having his son Desmond placed on the public payroll as his private secretary. During this period, he was also the minister in the Senate representing the ministers for urban and regional development, transport, civil aviation, Aboriginal affairs, housing, and environment and conservation. He acted as the Minister for Primary Industry in April and November 1973, Minister for Transport in June and December 1973, and Minister for Civil Aviation in June 1973. On 9 October 1973 Cavanagh moved to the important and sensitive portfolio for Aboriginal Affairs, established by the Whitlam Government the year before. The appointment was controversial. The strong-minded Cavanagh replaced the Member for Wills, Gordon Bryant, whose compliance with requests for funding by Aboriginal activist Charles Perkins, a senior bureaucrat in the Department of Aboriginal Affairs (DAA), appears to have contributed to the decision by the departmental secretary, Barrie Dexter, in September 1973, to call on the Auditor-General to examine the department’s finances. On 18 October 1973 the Melbourne Age reported that outside Parliament House in Canberra, some 100 demonstrators ‘booed and jeered’ the minister. Cavanagh was remembered, rightly or wrongly, as having been no friend to Aboriginals when secretary of the Plasterers’ Union. The robust nature of union politics may not have been the best training ground for the delicate negotiations demanded of any minister at this crucial period in Aboriginal affairs. The months ahead were tumultuous but, in retrospect, the portfolio, fraught though it was, marked the central point of Cavanagh’s Senate career. There were repeated clashes between Cavanagh and Perkins, with Dexter in the impossible position of remaining loyal to his minister and expecting loyalty from Perkins, while simultaneously trying to negotiate with Perkins and the Aboriginal groups. If Perkins was aware of the conflict of interest between his bureaucratic and activist roles, he seems not to have cared, such was his passion for the people for whom he spoke. The central (but not sole) issue related to who had control over money allocated to the DAA. Perkins and his supporters demanded that Aboriginals themselves should make the decisions, whereas Cavanagh, a sound administrator and a stickler for correct process, insisted that because public money was involved, the public service should control the purse strings, even in relation to the advisory body established in 1973, the National Aboriginal Consultative Committee. When Perkins showed disregard for ‘due process’, Cavanagh threatened legal action under the Public Service Act, until Whitlam insisted his minister withdraw the charges. The disagreements with Perkins, who believed the DAA should be an Aboriginal body, were so controversial that in an address to the National Press Club in Canberra in February 1974, Cavanagh referred to ‘Labor’s implementation of its policy on Aboriginal Affairs’ as a disaster, and confessed to his own lack of knowledge in the area. Nonetheless, his tenure of the portfolio took the Aboriginal cause forward. Legislation for which Cavanagh was responsible in the Senate included the Aboriginal Land Fund Bill 1974 and the Aboriginal Loans Commission Bill 1974. Both passed the Senate without difficulty, although the latter caused Cavanagh some problems later when the Liberals’ Senator Bonner raised contradictions between Cavanagh’s second reading speech and the eventual eligibility requirement for the loans. Funding to the states almost doubled—from $22 million between 1972 and 1973 to $40.79 million between 1974 and 1975—with particular increases in funding for Aboriginal housing, health services and community amenities. The Aboriginal and Torres Strait Islands (Queensland Discriminatory Laws) Bill 1974, introduced to eliminate racially discriminatory provisions in the laws of Queensland, became a frustrating exercise for Cavanagh when the Opposition raised objections by Aboriginal people and sought to have consideration of the bill deferred until a poll could be conducted among the affected communities. The Government had failed to incorporate into the bill clauses relating to permits and conduct on reserves, prompting Cavanagh to refer to Bonner as having a ‘thick skull’. Despite this, Cavanagh and Bonner seemed to bear each other no lasting ill will. The jewel in Cavanagh’s ministerial crown would have been the Whitlam Government’s Aboriginal Land (Northern Territory) Bill 1975 to grant freehold title over Aboriginal reserves to Aboriginal land trusts administered by land councils, but this lapsed with the simultaneous dissolution in 1975. While Cavanagh held his ground—and even won some begrudging admiration on the other side of the Senate—he lost the wholehearted support of the left. In June 1974 he just scraped back into the ministry—defeating a future Prime Minister, Paul Keating. He kept the Aboriginal affairs portfolio but in June 1975 he was moved from that department to Police and Customs, an appointment that aroused little publicity. After the defeat of the Whitlam Government in November 1975, he remained a prominent Opposition speaker on Aboriginal affairs. Though not selected for the 1976 shadow ministry, he served for a year on the Council of the Australian Institute of Aboriginal Studies and on the Joint Select Committee on Aboriginal Land Rights in the Northern Territory. In 1979 Cavanagh opposed the decision of the Caucus to support the Bounty (Dental Alloys) Bill arguing that: ‘Everything that is wrong with the Parliamentary institution appears in this Bill. The Parliament is completely by-passed. The assistance can be cut off without the approval of Parliament and it can be again paid without the approval of Parliament’. In 1980 he made a similar point about the Bounty (Ships) Bill. He asked whether the bill allowed the relevant minister to terminate payments without reference to Parliament, commenting, ‘We should always oppose the action of taking power out of the hands of Parliament and putting it in the hands of Ministers’. Cavanagh did not stand for the federal election of October 1980, leaving the Senate in June 1981. Under the rules of the South Australian ALP he was not eligible for preselection on age grounds. He spent his last years hating his absence from public life. He did a little gardening, enjoyed the large library he had built up, and occasionally advised younger politicians on the finer points of law and politics. Cavanagh died in Adelaide on 19 August 1990 at Queen Elizabeth Hospital, Woodville South, and was accorded a state funeral, held at the Port Adelaide Town Hall. He was buried in Cheltenham Cemetery alongside his wife, who predeceased him by only a few months. He was survived by their three children. To his supporters, the gravelly voiced Cavanagh was a man of principle, who remained true to his origins. He was tough, canny, incorruptible and uncompromising. To his detractors, he was a dogmatic, narrow-minded, anti-intellectual Marxist. To Whitlam, who made a point of speaking at all of his former lieutenants’ funerals, he was an effective minister who advanced the cause of Aboriginal land rights and lessened discrimination against Indigenous people, and whose support the former prime minister had valued, but rarely received. To his family, he was a husband or father who was seldom home, a man who had little small talk but who could argue for hours about important issues. To the younger generation in the South Australian Labor Party who remember him, he was a leading member of the ‘Old Left’, a man whose adamant opposition to the legalisation of marijuana could be understood although not supported, but whose steadfast allegiance to the working class, ‘the oppressed’, and ‘the wronged’, made him a Labor figure to be respected and admired. To Senator Ted Robertson who accompanied Cavanagh on visits to the Northern Territory, he was the slow-speaking minister, accustomed to carefully considering every proposition put to him. His manner suited the Aboriginal elders with whom he conversed. He had, Robertson considered, the capacity to sit and wait. CPD, 26 Oct. 1961 (R), pp. 2511–12; Jim Moss, Sound of Trumpets: History of the Labour Movement in South Australia, Wakefield Press, Netley, SA, 1985, pp. 239, 241–2, 251, 335; CPD, 12 June 1981, p. 3265; The author acknowledges the assistance of Christopher Schacht. Clyde Robert Cameron, Transcript of oral history interview with Mel Pratt, 1971–72, TRC 121/24, NLA, pp. 114–15; The editor is indebted to Jacinta Weiss, Archivist, Christian Brothers College, Adelaide; James Luke Cavanagh, Transcript of oral history interview with Tony Hannan, 1985, POHP, TRC 4900/27, NLA, pp. 1:1, 1:15–17, 1:20, 1:23–4, 1:27, 2:1–2; South Australian Worker (Adel. ), 17 July 1936, pp. 3, 12. Cavanagh, Transcript, pp. 1:26, 2:1, 2:10–13, 2:18–19, 2:21; Recorder (Port Pirie), 30 July 1941, p. 1; Plasterers’ Society, Minutes, 4 Feb. 1942, 22 Oct. 1945, 26 Nov. 1945, SRG 723/1/5, SLSA; United Trades and Labor Council of South Australia, Minutes, 18 Feb. 1966, SRG 1/1/23, SLSA; Ken Bridges, ‘Jim Cavanagh’, in Chris Vevers (comp. ), To Unite More Closely, United Trades and Labor Council of South Australia, Adelaide, 1984, p. 57; Solidarity: Official Journal of the Operative Plasterers’ and Plaster Workers’ Federation of Australia, Apr. 1967, p. 1; Advertiser (Adel. ), 18 Aug. 1948, p. 1, 5 Nov. 1952, p. 2, 1 Sept. 1954, p. 2, 13 Nov. 1957, p. 2; Malcolm Saunders, ‘Playford, Cavanagh, and the Plasterers’ Society of South Australia 1945–63’, Journal of the Historical Society of South Australia, no. 32, 2004, pp. 95–109. Cavanagh, Transcript, pp. 3:4, 3:8–11; Advertiser (Adel. ), 14 Nov. 1960, p. 9, 11 Dec. 1961, p. 1; CPD, 22 Aug. 1962, p. 395, 19 Oct. 1961 (R), pp. 2324–32, 24 Oct. 1961, pp. 2403–8, 26 Oct. 1961 (R), pp. 2506–11; Advertiser (Adel. ), 29 Oct. 1948, p. 9, 16 July 1954, p. 1; ALP, SA branch, Official reports of the 58th, 59th and 69th annual state conventions, 1961–62, 1972. CPD, 21 Aug. 1990, pp. 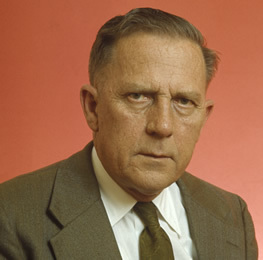 1973–9; Ian Hancock, John Gorton: He Did It His Way, Hodder, Sydney, 2002, p. 99; Don Whitington, The Witless Men, Sun Books, South Melbourne, 1975, p. 77. CPD, 18 May 1965, pp. 868–74, 1 Nov. 1967, pp. 2019–20, 2 May 1963, pp. 232–40, 15 Sept. 1965, pp. 426–31, 15 May 1969, pp. 1309–16, 28 Sept. 1967, pp. 1015–16, 23 Mar. 1966, pp. 182–7; DT (Syd. ), 23 Nov. 1967, p. 3; CPD, 5 June 1968, pp. 1429–34; Malcolm Saunders, The Campaign for Peace in Vietnam (SA) 1967–1972, BA Hons Thesis, Flinders University, 1972, pp. 52–3. Cavanagh, Transcript, pp. 4:27–5:3, 6:20, 7:12, 7:14; CPD, 25 Feb. 1969, pp. 59–63, 7 Apr. 1971, p. 849; Advertiser (Adel. ), 20 Feb. 1976, p. 3; CPD, 17 Sept. 1969, pp. 970–2, 976, 981–2; Advertiser (Adel. ), 15 Mar. 1973, p. 1, 16 Mar. 1973, p. 6, 20 Mar. 1973, p. 7; Herald (Melb. ), 28 May 1973, p. 3; CPD, 16 Feb. 1971, p. 14, 25 Feb. 1971, pp. 413–18, 7 May 1971, pp. 1602–7. Advertiser (Adel. ), 19 Dec. 1972, p. 1; Cavanagh, Transcript, pp. 2:8, 4:20, 4:27; Ross McMullin, The Light on the Hill: The Australian Labor Party 1891–1991, OUP, South Melbourne, 1991, p. 342; Adelaide (Adel. ), 10 Oct. 1973, p. 3; Peter Read, Charles Perkins: A Biography, rev. edn, Penguin Books, Ringwood, Vic., 2001, pp. 172–8; Age (Melb. ), 18 Oct. 1973, p. 1. Australian (Syd. ), 18 Jan. 1974, p. 9; CT, 22 Feb. 1974, p. 1; Australian (Syd. ), 20 Nov. 1974, p. 2; CT, 16 May 1975, p. 10; Read, Charles Perkins, pp. 180–3; Advertiser (Adel. ), 6 Feb. 1974, p. 3; Cavanagh, Transcript, pp. 5:12–13; Australian (Syd. ), 5 Mar. 1974, p. 1; Address delivered by James Cavanagh, National Press Club, Canberra, 26 Feb. 1974, pp. 1, 3, Alan Reid Papers, MS 7796, box 36, NLA. Ian Howie-Willis, ‘Cavanagh, J’, in David Horton (ed. ), Encyclopaedia of Aboriginal Australia, Aboriginal Studies Press, Canberra, 1994, p. 184; CPD, 3 Dec. 1974, pp. 3014–15, 16 Oct. 1974, pp. 1746–7, 19 Feb. 1975, pp. 321–2, 29 Nov. 1973, pp. 2334–6, 16 Oct. 1974, pp. 1742–3, 27 Nov. 1974, pp. 2833–6, 10 Dec. 1974, p. 3291, 19 Sept. 1974, pp. 1267–73, 9 Apr. 1975, pp. 916–22, 5 June 1975, pp. 2368–9, 16 Oct. 1975 (R), pp. 2222–5. Cavanagh, Transcript, p. 5:23; Australian (Syd. ), 11 June 1974, p. 1; Whitington, The Witless Men, p. 168; Howie-Willis, ‘Cavanagh, J’, p. 184. ALP, Federal Parliamentary Labor Party minutes, 9 May 1979, 19 Mar. 1980, MS 6852, box 18, NLA; The author acknowledges the assistance of Cavanagh’s daughter Patricia, and Terry Carroll, former member of the Plasterers’ Society; Advertiser (Adel. ), 21 Aug. 1990, p. 28, 22 Aug. 1990, p. 4; CPD, 21 Aug. 1990, p. 1793; E. G. Whitlam, Eulogy delivered at the state funeral of Senator J. L. Cavanagh, Port Adelaide Town Hall, 23 Aug. 1990, pp. 7–8; Herald (Adel. ), Oct. 1971, pp. 8–9; Edward Robertson, Transcript of oral history interview with Clarrie Hermes, 1990, POHP, TRC 4900/83, NLA, p. 4:15. This biography was first published in The Biographical Dictionary of the Australian Senate, vol. 3, 1962-1983, University of New South Wales Press Ltd, Sydney, 2010, pp. 230-236.